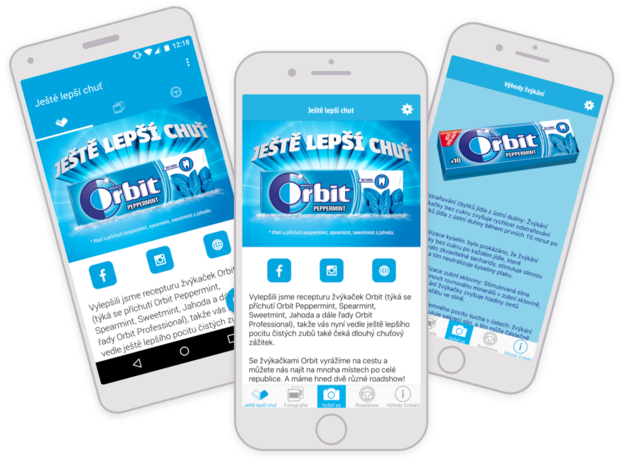 The goal was to create mobile applications for Android and iOS which support two months of marketing campaign for the branding of two new flavors of popular chewing gums brand - Orbit. The user experience had to provide maximum immersion for the users into the branding of new flavors. Users should feel the new branding at their fingertips. 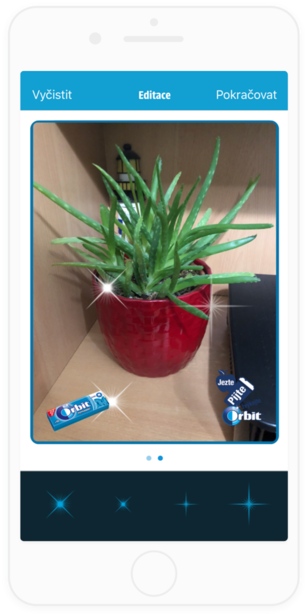 For that purpose, the mobile application featured a custom camera options including few brand frames selection and an ability to insert additional objects on the picture - stars and glows. This was long ago before the operating system’s camera applications included similar features by themselves. Users should be also able to easily share their creations with hashtags to social media. The solution consists of development of native mobile apps for iOS and Android, web administration and API. 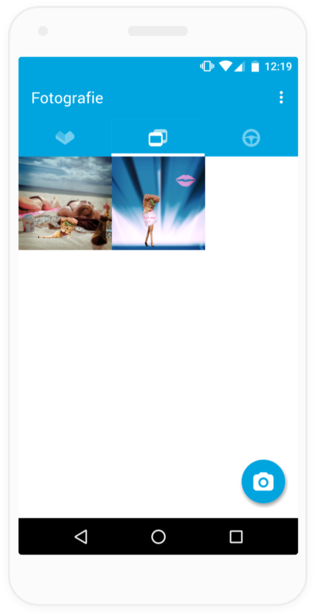 Mobile applications have custom camera interface with additional features how image can be enhanced and branded. These apps had been created long before the operating system’s default camera applications introduced similar features as well. Applications contain information about places where roadmap of the marketing campaign took place. Two vehicles were travelling through each country. Information about every stop they took, together with the date, were provided in a convenient way. The marketing campaign of our client happened in two places at the same time - Czech Republic and Slovakia. Applications support these two campaigns by providing a different content for both languages and having their user interface translated into these languages. The challenge in this project was the creation of a custom camera interface with all the effects which are applied in different layers on the picture. 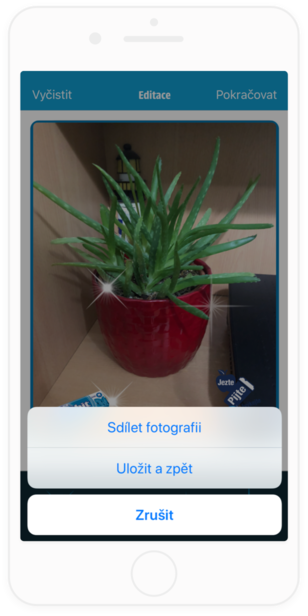 Mobile applications are able to merge those layers and generate the resulting picture for purposes of sharing or storing into the user's photo gallery. And all this is happening directly on the mobile devices without any need to consume server processing time. We developed a native mobile apps for iOS and Android. Content presented in mobile applications can be managed in a web based administration and is loaded into the mobile devices via the REST API.